The man behind the first all-in-one Smart Mirror and personal assistant. Hello and welcome to MirroCool! My name is Wojtek Kaszycki. I am a passionate inventor, senior executive, investor and consultant from Poland. 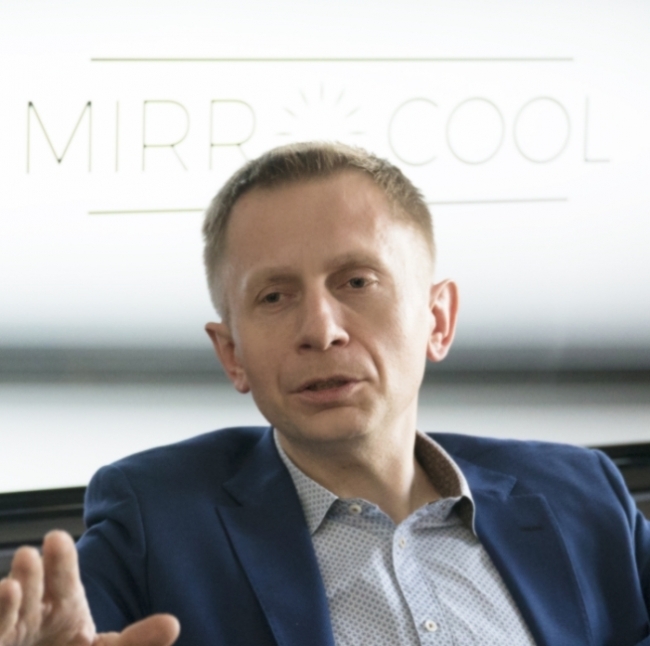 I am also the Founder and CEO of MirroCool, a San Francisco-based startup. In my personal life, I am a husband and father of three sons. In my professional life, I have more than 20 years of experience in business and technology and have been fortunate enough to work with people eager to invest time and money to let me create innovative projects and products. For me, the journey started with eCommerce, creating Poland’s first internet TV (EmpikTV) among others. This is something that I am very proud of! My approach to life is full blast, head-on, leaving no stones unturned, and I am appreciative of each passing moments. I invented MirroCool, a smart mirror and all-in-one, cutting-edge personal assistant, to help me to be more productive every morning. My goal was to create something unique, convenient and affordable for everyone. And I think that I have met my objective. Combining our background in the mirror industry with surveillance cameras, MirroCool was born. Now I want to share my latest innovation with all of you with this Kickstarter crowdfunding campaign. Moreover – I want you to be involved. Challenge me, share your doubts and thoughts. Let’s improve the product together. This is why I’ve chosen Kickstarter as a platform. This is why I choose YOU to partner with me. Help bring this project to life. Subscribe to our newsletter to be alerted when we launch our Kickstarter campaign.